The Kansas City Royals — the once proud franchise which shocked the sporting world by winning the 2015 World Series in Cinderella-story fashion — are at a crossroads. Dayton Moore and the gang can buckle up for one more run at a championship with the current roster, or begin the long and painful process of rebuilding. The current iteration of the Royals is not without its share of talents. Yet, the team faces an uncertain future. To explain Kansas City's predicament, allow me to make a meandering political analogy. 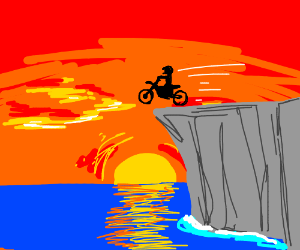 In winter of 2012-2013, the United States government was rapidly hurtling towards a disaster called the "Fiscal Cliff." The Obama administration and Congress were tasked with crafting a budget agreement by 12:01 am EST on January 1, 2013, lest a series of draconian spending cuts and tax increases be automatically implemented. Analysts warned the cumulative effect of these measures could be enough to jolt the economy and ruin everyone's Christmas break. Folks, that ain't pretty. Many of those dudes will make bank on the open market. Kansas City can't afford to keep them all. Once Kansas City heads over the Contract Cliff after the 2017 season, it could be ugly. The franchise could head into hibernation, like it did from 1986 to 2012. Some are suggesting a controlled demolition of the current roster. The idea would be to trade valuable assets in hopes of restocking the farm system and shortening the rebuild. Dayton Moore may be on the cusp of implementing this strategy. Most of the blame for the Royals' disappointing 2016 season can be laid at the feat of hot-head maniac Yordano Ventura. The kid has had a Benjamin Button style career trajectory: with each passing year he becomes less mature and less useful to the team. Folks, I'm no statistician, but Yordano's ERA looks bloated. More bloated than myself after the time I ate 32 boneless wings in one sitting to teach my nephew a lesson about persistence. Not only have Ventura's on-field results become disappointing; he's a clubhouse nightmare, driving a wedge through a team that once rode its cohesive chemistry to a World Series title. The kid is more belligerent than John Bolton. According to Sam Mellinger, he has even alienated his own teammates. When Johnny Cueto left the team after the 2015 championship run, the team pinned its hopes on Yordano. Kansas City needed him to grow up and pitch like the ace he can be. He failed. Time for the Royals to move on and recoup some prospects if they can. Ventura still has trade value; he can throw really hard. Trade him to a team like the Tampa Bay Rays that cares more about velocity and fastball spin-rate than chemistry. With Kansas City having recently let "Cuban Breakfast" Kendrys Morales walk, it's time for the team to loosen their belts and dig into a Country Breakfast. The Royals need a DH. I would've preferred that they bring back former Royal and future Hall-of-Famer Carlos Beltran, but those pesky Houston Astros beat them to it. The Royals need a man who can drive in runs. Billy can be that man. His batting average rebounded bigly last season — a 33 point bounce from .251 in 2015 to a very respectable .284 in 2016. Billy's talents were wasted with the dead-end Oakland Athletics, but after a change of scenery he thrived. 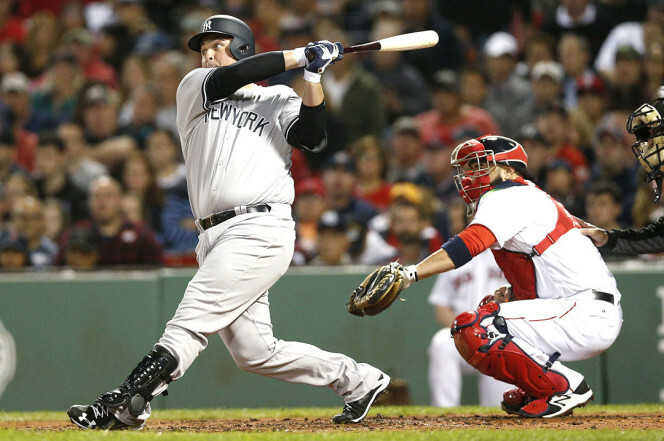 As a Yankee, Billy went 10-for-29 and batted .344. Wow! Billy Butler hit 20+ home runs as recently as 2012, when he was an All Star and Silver Slugger. The Royals have always been able to play small ball; picking up Beefy Bill would let them bomb with the big boys too. It's a no-brainer to me, folks. Bring back Billy. With Edinson Volquez gone, the Royals need some starting pitching depth. The Boston Red Sox have made 2-time All Star Clay Buchholz available. 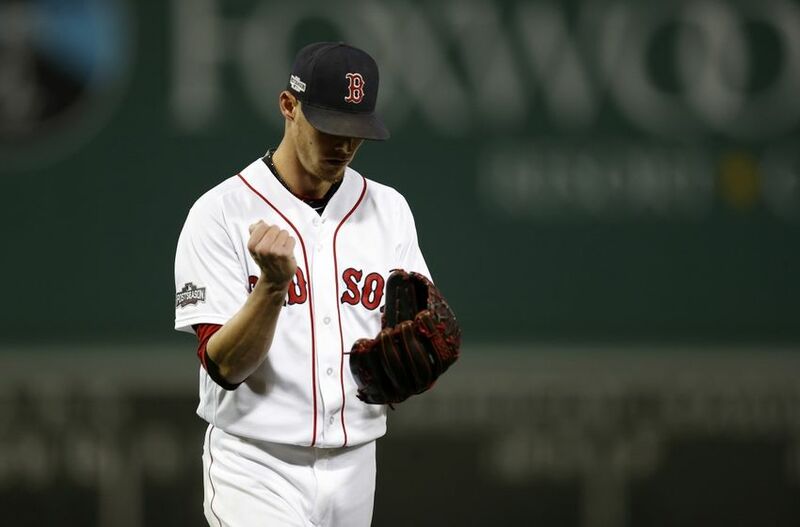 Clay looked strong when he delivered 4 innings of 2-run ball for Boston in the ALDS. Imagine him playing in spacious Kauffman Stadium with one of the best outfield defenses in baseball instead of Fenway Park, where pitchers go to die. It would be foolish to not kick the tires. Make it happen, Dayton. Folks, the Royals didn't win in 2015 because they had a large payroll or flashy free agent acquisitions. In fact, during the team's reign of dominance over the American League, they made a habit of embarrassing higher payroll teams that tried to buy their way to titles. The Royals thrived because they were a tight-knit group of buddies who had fun playing ball together. That was all ruined last off-season. Last Winter, the Royals became too big to fail. The team lost sight of its underdog mentality by signing mercenaries like Ian Kennedy and inflating its payroll. Even Alex Gordon got greedy by demanding a massive contract instead of taking a hometown discount. Folks, this toxic culture needs to be changed. The Royals play best with a chip on their shoulder; it's hard to play with a chip on your shoulder when you're lugging around the weighty expectations that come with a ludicrous $110,914,525 payrollinstead. Shedding payroll would go a long way towards helping the Royals regain the insurgent attitude that served them so well in 2015. Folks, the Contract Cliff is coming for the Royals, whether they like it or not. In a year's time, Eric Hosmer will be wearing pinstripes, Mike Moustakas will play for Billy Beane, Danny Duffy will wear Dodger Blue, and Wade Davis will be Boston's latest declining closer. Time waits for no man, yet the Royals still have one more shot at Autumnal Glory in 2017. The Royals can still contend if they keep the band together while bringing back some old faces like Billy and some new faces like Clay. The reports of the Kansas City farm system's death have been greatly exaggerated. The Royals have tons of promising young talents like Raul Mondesi, Christian Colon, Cheslor Cuthbert and Whit "DiMaggio" Merrifield. The team doesn't need to be blown up, just tinkered with. The Royals core has one more summer together before they go their separate ways. 2017 will be like senior year of High School for the Royals, a team that has journeyed from the quiet plains that the Omaha Storm Chasers call home to the heights of major league glory. Most of these guys have known each other since their days in the minors. Everything that the Royals have accomplished they have accomplished together. But after next summer, these boys will become men. They'll be free agents with divergent paths laid before them. But all is not lost yet. If Dayton Moore plays his cards right, the Kansas City Royals can have one last victory lap before they drive off the Contract Cliff and into the sunset.